LEGALLY BLONDE, the musical based on the hit comedy film, comes to the stage of the Town Hall Theatre in a new production from the Galway Musical Society. 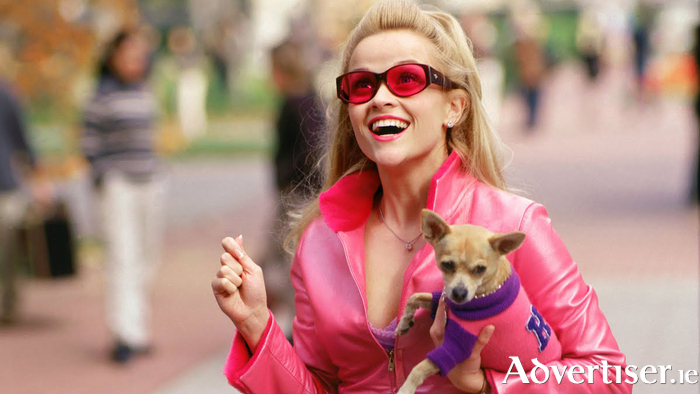 Elle Woods is the college sweetheart and homecoming queen who does not take no for an answer. So when her boyfriend dumps her for someone 'serious', Elle hits the books and heads for Harvard Law School. Along the way, she proves that being true to yourself never goes out of style. Legally Blonde features music and lyrics by Laurence O'Keefe and Nell Benjamin, and a book by Heather Hach. The GMS production stars Hannah Wright (Elle Woods ). Roisin Egenton Lawless (Paulette ), Richard Brown (Emmett ), Michael Cooney (Professor Callahan ), Patrick Connelly (Warner ), Kate O’Mahony (Vivienne ), Kori Kilduff (Brooke ), Ailise Higgins (Serena ), Nicola Kerrigan (Pilar ), Síofra Ní Chonluain (Margot ) and Hannah McCreanor (Enid ). It is directed by Brian and Sean Power. Shane Farrell is musical director.